Ebola. A one word terror that has gripped Nigeria in the throes of national hysteria. Having no cure or vaccine, killing it’s victims in a most dehumanising way, thwarting regional efforts to curb its spread, the Ebola Virus Disease is the stuff of science fiction or real life WHO nightmares. 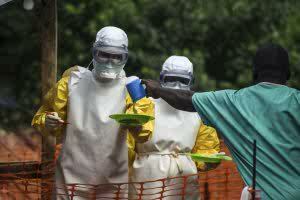 So, when Ebola was imported into to Nigeria by a Liberian Diplomat, the polity was understandably agitated. Social media was agog with advice, speculation, theories and lamentation. A particularly unfortunate incident was a Prank Blackberry Broadcast a girl sent asking her friends to bathe and drink salt to prevent the deadly disease. The broadcast went viral and at least two people are rumoured to have died of complications of hypernatremia, less in fact than died of Ebola within the same time frame. 1. A Clean Hands Revolution. Never in our national history have we cared about hand hygiene as we do now. Hand-washing is preached and practiced in homes, offices and schools at previously unimaginable rates. Even more amusing is the rash of hand sanitizing creams that have flooded the country. Now, many offices, banks, companies and schools demand visitors hands are smeared with hand sanitizer before they are granted access. It is unclear how this would help prevent Ebola in people at low or no risk, but it is certain that one can expect lower incidences of contact diseases like diarrhoea and common cold in Nigeria this year. And that is a good thing. Nigerians are notorious for dramatic greetings. We hug, kiss, shake hands, lift each other off the ground and spin ourselves around. Now, a wave offered from * meter or two will do. Who wan die? Some will argue this point, but there is no doubt in my mind that the Draculaen measures adopted by the Federal government to stop the doctor’s strike was partly caused by the Ebola outbreak. Politicians used the outbreak to pressure doctors to return to work and the polity wailed about doctors insensitivity. Never mind that most hospitals are yet to equip or train their doctors to respond. The strike has been called off. Let’s hope many non-Ebola deaths have been so prevented. 4. An Upgrade In Personal Protective Equipment In Health Centres Nationwide. This point is speculative. It is believed that with N1.9 Billion released for a nationwide response, Personal Protective Equipment will now become available in all government hospitals. This will go along way to protect healthcare workers from getting infected with disease while at work. Even before Ebola, many centre lacked protective material as basic as gloves. Googles, body suits, boots and masks were a pipe dream. Hopefully, Ebola will mean more money devoted to Personal Protective Equipment and safer work places for Nigerian healthcare workers. 5. Fresh Respect For Field Epidemiologists. With the success of the Ebola Response following the outbreak in Lagos, many people have scrambled to take the credit. Epistles have been written in praise of the State governor, the ruling party, and foreign aid agencies. The truth is, the Ebola response was successful because of the efforts of little known hardly seen group of medical personnel — the field epidemiologists. As part of the HIV/AIDS response in Nigeria, the American government has sponsored the selection and training of doctors, vets and lab scientists in the discipline of field epidemiology. Recently, the training program began to suffer budget cuts and funding reduction. Many feared it would be scrapped altogether. Ebola has shown that the little known discipline of field epidemiology is in fact crucial to prevent public health nightmare in developing countries. And with that, more money is being pumped into training. There’s no need to close the field epidemiology program; rather plans are underway to expand it to cater for regional and continental threat. 6. More Funding For Emergency Response. Finally, the Ebola outbreak has brought more funding for emergency response. Research, equipment, supplies, training and strengthening of networks that would have taken years are being fast tracked in months. Ebola is a terrible disease but it seems to have brought some good along with its terror. Belinda watched Womako trudge into the makeshift bathroom behind their home. Belinda didn’t have the strength to remind him that their power had been cut–a souvenir for owing 3 months of bills, nor the patience to explain that she had to conserve fuel for meals. She heard the clash of metal and stone amidst her husband’s grumbling. They had been a reasonably happy couple before but the disease outbreak had changed things. Woma had to work longer shifts, coming home exhausted and irritable. She couldn’t remember the last time he played with her or the last time she felt him on her thighs. Now her days were a cycle of watching him rush of to work, grouchy welcomes and loveless nights. Her fledgling bush-meat business was on hold and Woma hadn’t been paid in two months. The government had promised to pay more as hazard allowances to workers in the health facilities affected by the disease. Nothing had been done about that yet. Woma walked past her into the house. He had hoped to change the thatch and mud hut to a proper house, but now, such talk was fantasy. She waited a while then joined him in the room. The plate of rice and soup was untouched. The jug of water was empty though and Womako was not in the room. She flicked aside the curtain to see him prostate on a mat in the adjoining room. They hoped it would be their children’s room, someday, but now it housed the occasional cousin from the village and Womako’s old books. “You must Bella. You have suffered enough drinking every potion and pill trying to get pregnant for the past three years. Visited every healer, seer and saviour, what they didn’t tell you was that you were fine. I am the one that can’t fill your field. I am the one without seed. “But what about the house? What about our plans for the new plot of land?” Bella asked in a tear choked whisper. Willie came and took her to the park. She got to Ghana safely. A week later she was told Womako’s ashes were buried in their backyard. She waited for her own illness to begin. It never did. Instead she put on weight and lost two shades of tan. And many nights she would lay awake thinking. She would imagine herself a judge and Womako an accused. Should she hate him for the three years of lies? Should she acquit him for an act of uncommon courage? The arguments would rage for and against before sleep would whisk her away, to awake again to the toils and troubles of another day.